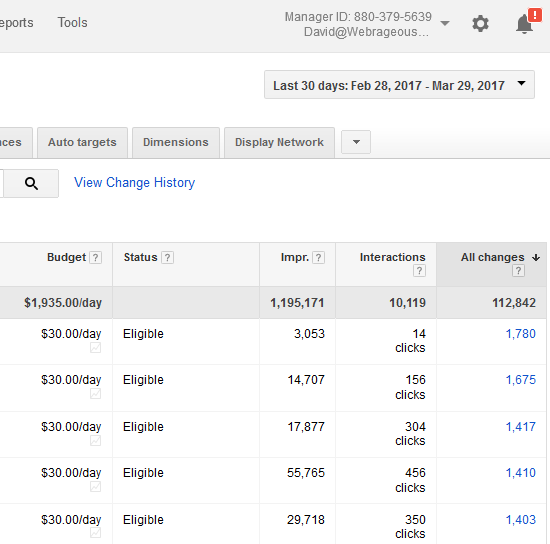 With Google regularly updating Adwords features and changing their search algorithms, you can’t just “set it and forget it” when it comes to managing campaigns. Is your agency working hard enough for you? Or if you’re currently managing your PPC accounts in-house, are you able to dedicate the time it takes to maintain and optimize a successful account along with all your other responsibilities? If your PPC campaigns are not hitting goals, or you’re questioning if they’re fully optimized, the experts at Webrageous can perform a free audit of your Google Adwords account. Just call us at 800-645-9521 or fill out our contact form at the top or bottom of this page to get started. We can do a screen share. This is one of the best ways because you will have control over which areas of your account are viewed. When you are interviewing p management companies you don’t know if they work for your competitor. This way a management company can review your account with you and will have no opportunity to download your account. You can send read only access to the email address in the footer. This is an okay way and gives some protection to the client because the management company you are interviewing can’t make changes to your account. But an unscrupulous management company could download your account and see all of your best keywords that they might not have thought of if they are working for a competitor. We can add your account to our MCC. Just send us your AdWords account ID. This is likely the worst way to give access because it means we could make changes to your account and see all your best keywords if we are working for one of your competitors . It is best before a contract is signed to not give someone access this way. You might want to fill out our contact form or call us to get this setup. 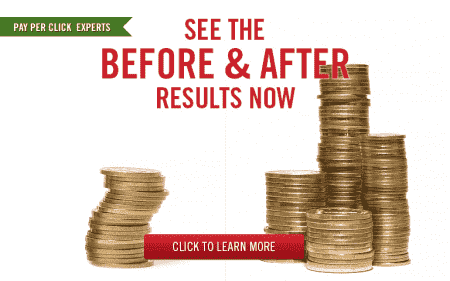 We will review your account top to bottom to highlight missed opportunities and areas for improvement. This free review will include assessment of the account structure, keyword lists and quality score, ad copy and extensions, bids and budget settings, ad schedule, and geo-targeting. Here are some of the things we might examine: How granular is the geo-targeting? When was the ad copy last refreshed? What device bid modifiers are being used? How often are bids being adjusted? Is traffic driving to a relevant landing page? Has performance improved week-over-week, month-over-month, year-over-year? These are just some of the questions that will be addressed throughout the free audit. One way to assess how often changes are being made is to look at Google’s change history, which lists the date of every change made to the account. The below example shows over 100,000 changes made to one of our accounts in a 30 day period. This is an excessive number of changes and as long as you see a few dozen changes each month that may be sufficient enough… if they are the right changes and if performance is improving. If your account only has three or four changes made a month – or worse no changes for several weeks or months – that is definitely a strong signal you want to have another management company review your account and provide a proposal. Although the change history will give you some indication as to how hard your agency is working on your account, only a full audit will bring to light any real missed opportunities. Webrageous will assess all aspects of the account so you have a clear understanding of how well your account is set up and what the potential is for improvement. If you’re currently on the fence about hiring a PPC agency or leaving your current agency, know that Webrageous is currently offering a 60 day risk-free trial for full-service Google Adwords management. This means you can test drive them as an agency for 60 days, and if you are not 100% satisfied with the results, you pay nothing. If you are satisfied, you would then be charged the normal management fee for those first two months. But there is no long-term contract! Contact Webrageous today for your free PPC account audit and start taking advantage of more effective campaigns!